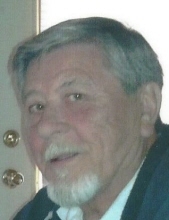 Peterson, Charles Bruce- Age 74, of Flint, died October 11, 2018. A committal service will be held 9:30AM Thursday October 18 at Great Lakes National Cemetery, 4200 Belford Rd., Holly. Arrangements provided by Sharp Funeral Home and Cremation Center, 6063 Fenton Rd., Flint. Charles was born August 13, 1944 in Flint the son of Paul E. and Harriet L.(Raymond) Peterson. Charles proudly served in the U.S. Army. He retired from Oak Dairy Farms in Houston, Texas. Charles was an adventurous and fun loving man with a kind and generous heart. He enjoyed fishing in the ocean and inland lakes. Charles had a wonderful sense of humor. He was an avid golfer and enjoyed old cars. Surviving are: sister, Carol Grove; nieces and nephews, Debbie and Tim Gunter and family, Cindy and Jim Gilmer and family, Christina and Allen Reynolds, Virginia and Mike Sparkman and family, Lori and Neel Heaberlin and family, Rich Grove, Rhonda Grove and Peter Heninger and family, Ellen Grove and Sean Whalen and family, David and Heather Peterson and family, Anne Peterson and family, Mark and Andrea Peterson and family, Timothy Peterson; sisters-in-law Sondra Peterson, Pat and Hugh Powell; many great nieces and great nephews; step-son, Timothy Peterson and family. He was preceded in death by two brothers, Douglas Allen Peterson and David Paul Peterson. Tributes may be shared at www.sharpfuneralhomes.com. To send flowers or a remembrance gift to the family of Charles Bruce "Chuck" Peterson, please visit our Tribute Store. "Email Address" would like to share the life celebration of Charles Bruce "Chuck" Peterson. Click on the "link" to go to share a favorite memory or leave a condolence message for the family.